It’s Binibining Pilipinas season once again and many pageant aficionados are being hooked up as to who will get the coveted titles and will be able to represent us in the international pageant arena. The winners who will eventually face a greater pressure as all eyes will be upon them as they are expected to do well in their respected pageant endeavor. But Binibining Pilipinas is not just about the candidates and the winners. It also pertains to the people behind this most anticipated pageant event in the country. And yes, it is obviously known to many that there’s only one person whom we can think of everytime Binibining Pilipinas is mentioned. So let’s take this time to honor and appreciate the great contribution of the one and only person who has the heart to bring out the best in every Filipina, proven for more than 5 decades. 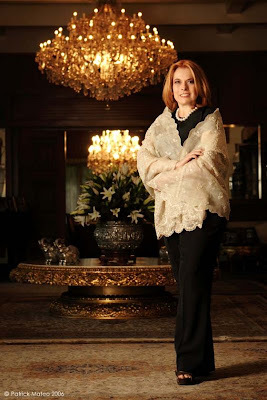 Madam Stella Marquez de Araneta or simply Madam Stella has been overseeing the Binibining Pilipinas Charities, Inc. (BPCI) for more than 50 years now. Something very laudable for this kind of achievement. She may not be a full-blooded Filipina but I firmly believe that she has the quintessence of a servant leader whose heart is for the success of Filipinas. Madam Stella is of Colombian descent with an origin from Spanish and Polish heritage. 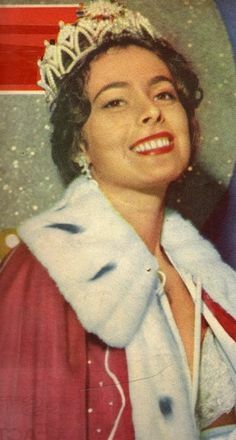 In 1960, she was crowned as the very first Miss International winner but prior to that she competed first in the Miss Universe pageant where she ended up as one of the semi-finalists. 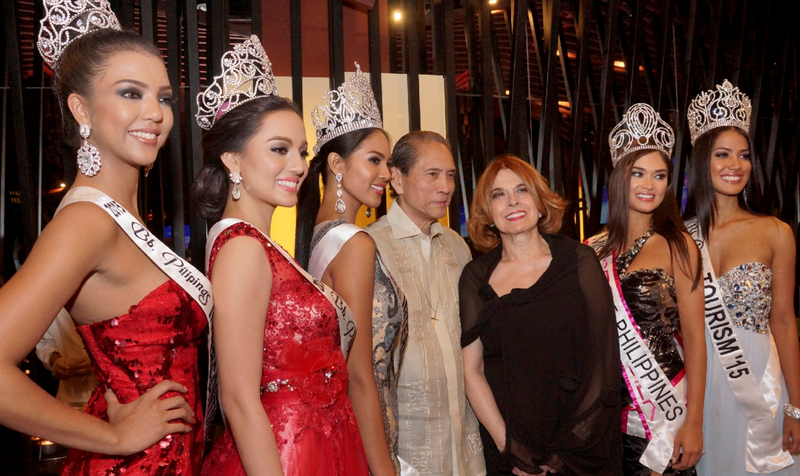 In 2013, the Binibining Pilipinas celebrated their 50 Golden Years and one of the highlights of the event was the honorary tribute to Madam Stella for the triumph and great contribution she imparted in the Philippine pageantry. For me, that was one of my favorite segment of the show and upon personally seeing the people’s reaction to the teary-eyed Madam Stella when she was up there on stage giving her simple speech of thanksgiving, a very heart-warming round of applause filled the whole place. Indeed, her unwavering presence is truly entrancing. 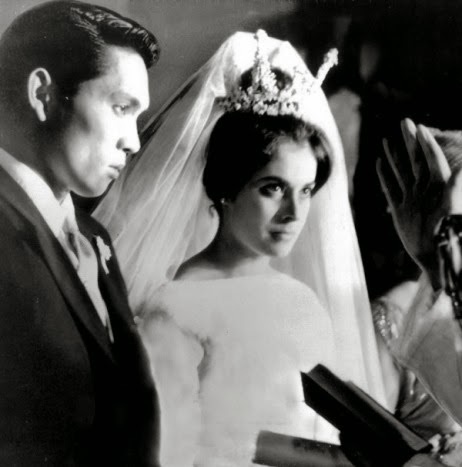 A very nice trivia came along when by strange coincidence, the first winners of the three major international beauty competitions married Filipino men, and one of them is Madam Stella who married Jorge Araneta, an aristocrat from the Araneta political-business clan. As a beauty queen herself, Madam Stella ventured in to the world of beauty pageants. 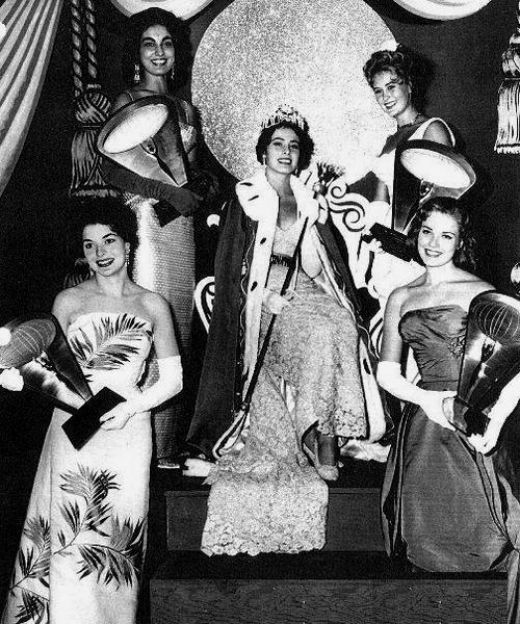 In 1964, the birth of the Binibining Pilipinas took place. From then on, they’ve been responsible for selecting the representatives of the Philippines for Miss Universe and Miss International, and other beta global pageants such as Miss Supranational, Miss Tourism Queen International, Miss Globe, Miss Grand International, and Miss Intercontinental. In 1992, BPCI acquired the franchise of Miss World until it ended in 2010. It has been a roller coaster ride for Madam Stella in maintaining the stature of BPCI as an organization until it reaches the pinnacle of its year of existence by producing world-class Filipinas in the persons of Miss Universe winners, Gloria Diaz in 1969; Margarita Moran in 1973; and the recent historic victory of Pia Alonzo Wurtzbach in 2015. 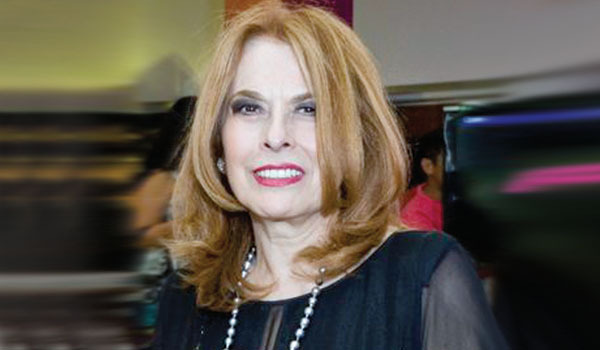 The Philippines also owns the second spot as the country with the most number of Miss International winners by producing Aurora Pijuan in 1970, Melanie Marquez in 1979, Precious Lara Quigaman in 2005 and Bea Rose Santiago in 2013. Moreover, the binibinis excelled in other pageants: being known as the first Filipina Miss Supranational winner, Mutya Johanna Datul who bagged the crown in 2013. Maricar Balagtas and Anne Lorraine Colis shared the same honor of being crowned as Miss Globe in 2001 and 2015 respectively. Michelle Reyes gave a strong performance two years in a row by giving the Philippines its duplex win in Miss Tourism International-Ankara Version in 2001 and Miss Tourism World in 2002. Madam Stella together with her Bb. Pilipinas board members, Ms. Conchitina Sevilla-Bernardo and Mr. Raymond Villanueva, along with Miss Universe 1973 Margie Moran. Controversies, issues and predicaments have stormed the leadership of Madam Stella especially during the gloomy years of Binibining Pilipinas where its winners were shoddily not placing in the international pageants. Issues about lack of training, sponsorship, promotions, recycled wardrobes sans acknowledgment of Filipino fashion couturiers, are just some of the setbacks that concerns Madam Stella’s BPCI. Yet, regardless of those hullabaloos, no one can ever dismantle the vigor of Madam Stella’s direction over the non-stock, non-profit organization, instead, the status of BPCI was even put on a pedestal. It’s still a big puzzle to many pageant pundits and a lot may probably asking if Madam Stella has biological children herself. Well I think, that remains a mystery. But nevertheless, Madam Stella is a Queen Mother to many, particularly to her binibini queens. Her binibini queens regarded her as their “second mom“, as for them, she has the feat of what a “real mother” can be. Apparently for the love, support and “hands-on” thump Madam Stella is giving them. No wonder, with the likes of Miss World 1992 Second Princess, Ruffa Gutierrez and Miss International 2005, Precious Lara Quigaman, these two “celebrity queens” even asked her to seat as one of their “ninangs” (godmother) on their weddings. As hands-on as she is with the binibini girls, Madam Stella pours her heart out for charity. She makes it sure that the pageant serves as a primary instrument to pursue its mission of spreading peace and love across the nation by being active in socio-civic projects of both government and non-government body. According to the Bb. Pilipinas website, “BPCI’s relevance as an organization lies in more than just the quest for the True Filipina Beauty. It is the gateway to many meaningful opportunities to be able to make a difference in the world, with its enduring commitment to various humanitarian causes.” This is something that is truly manifesting from the heart of Madam Stella that is continuously impacting the lives of the binibini girls to live out its cause no matter what. Madam Stella during the Bb. Pilipinas Gold reunion. For me, Madam Stella is an epitome of a genuine woman whose passion is to bring out the best in every Filipina and be the embodiment of leadership and excellence to serve as a gateway to help and be of a blessing. I visited many websites however the audio feature for audio songs present at this web page is genuinely wonderful.